Summer Streets is an annual celebration of New York City’s most valuable public space—the streets. 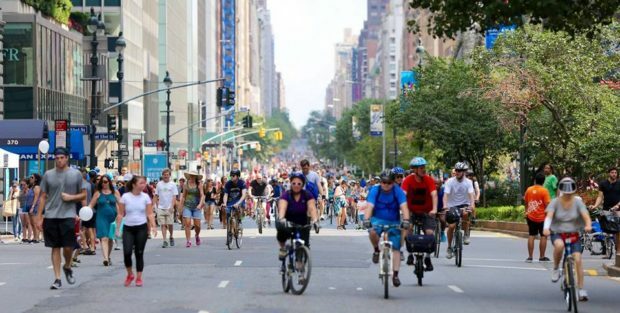 On Saturdays, August 5, 12, and 19th between the hours of 7 am and 1 pm, nearly seven miles of New York City’s streets are open to the public to play, run, walk and bike. How does Summer Streets affect my project? Only emergency work may be performed provided an emergency number is received from the New York City Department of Transportation. Any non-emergency permits issued prior to the date of this notice are hereby suspended for the dates and locations listed in the link below. Utility cover openings are also restricted unless an emergency authorization number has been obtained from the Department of Transportation. What streets are included in the embargo? View the list of affected streets here. Need a special waiver or have more questions about the Summer Streets Construction Embargo? Contact us at (212) 563-6760 or info@kmaofny.com, we’re here to help move your project forward!